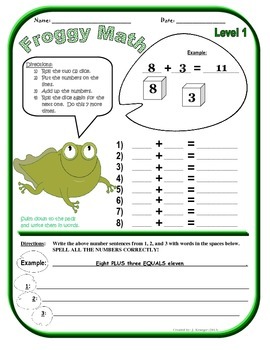 With three levels of addition, students are able to move up as they become fluent at each level. Students roll dice to create addition problems then write the number model sentences into actual sentences using the number words. 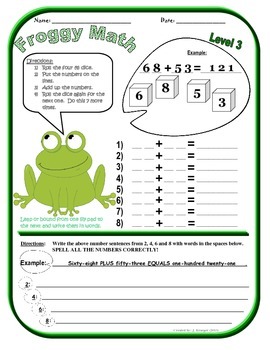 This activity can be used as a game, as a center, or as differentiated homework. 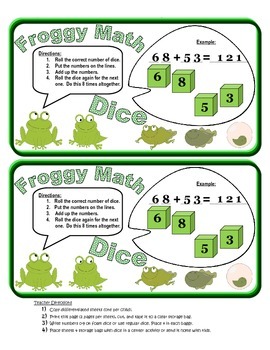 At each level, students do 8 rounds of rolling dice and adding up the products (either foam dice or regular dot dice). 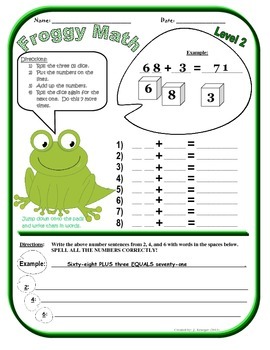 Then they have to write three/four of their math problems into words, which helps practice their math skills for a portion of the activity, as well as their number word spellings.